Here is an interesting theory about the memory card which was found in the back of Teresa’s Rav4 when they found the vehicle. I have forgotten where on the MaM sub it was shared, but someone shared some side bar between Kratz and Strang/Buting where they mentioned bringing in info that would make Teresa seem less wholesome than she was portrayed. Now the obvious source of that info would seem to be the diary which we know they did not enter into evidence. But then I realised this could explain some of those weird things we have been wondering about the memory card. The card was collected from the boot/cargo area of the rav4.So what is unsual about that? So Orth one of first officers on the scene can read the name written on it and sees what he is later informed was the CF memory card. and yet the card did not slide under the raised seats, or turn over during the process of being lifted by the rear wheels, moved and loaded onto the truck and transported it to the lab? WHY WOULD THE CARD EVEN BE IN THE CARGO AREA? The second issue I have with the location is Compact Flash memory cards are not cheap (and would have been more expensive then). It’s not something you just casually toss in the boot or drop down a seat and forget about. So to me it seems less probable that Teresa just casually lost it. She has a business to run and corrupt files caused by dust in your card could cost you business! why would that card be separated from her other personal items? WAS THE POSTION OF THE MEMORY CARD STAGED”? The third issue I have with the location is….it feels staged. Now is that because LE put it there or her killer? 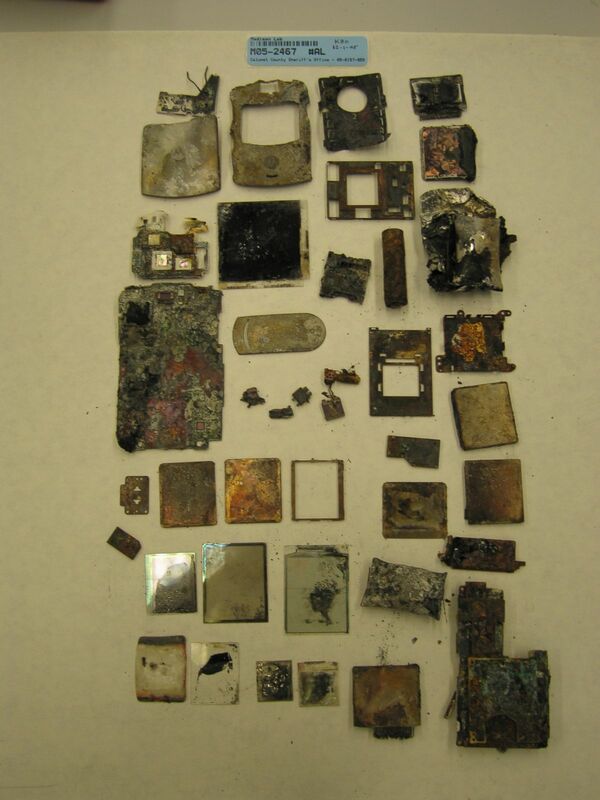 All her other personal items including her camera have been burned, but not that. A thing with her name on it is left in plain view. Why burn one card and not the other? WHY MIGHT IT BE THERE? So I thought, why would a killer leave it there? It would seem the most obvious reason would be to make sure it is found. Why would they want it found? …. :and that takes me back to that conversation indicating that Buting/Strang had information they could bring in that could tarish Teresa’s character. What if this item have contained compromising photos of Teresa? Is this why we do not find out it’s contents in the trial? Was this card deliberately left there, in plain view, name facing up as a message? Was someone deliberately trying to shame her? One other bothersome aspect of the card is the DNA processing. deoxyribonucleic acid (DNA) was isolated from items Al, A6, A8, A9, A12, A13a, A14, Bl-5, C and D1 . The DNA was amplified using the polymerase chain reaction (PCR) method and typed for fifteen short tandem repeat (STR) genetic markers as well as the gender marker Amelogenin using the Promega PowerPlex® 16 amplification kit. Item A13a was not utilized for STR/DNA analysis. Well, which is it? If not, why not? is there an image if item 8235 “plastic memory card holder” ? Why can’t I see the actual memory card on the CASO evidence list? Have I missed it? 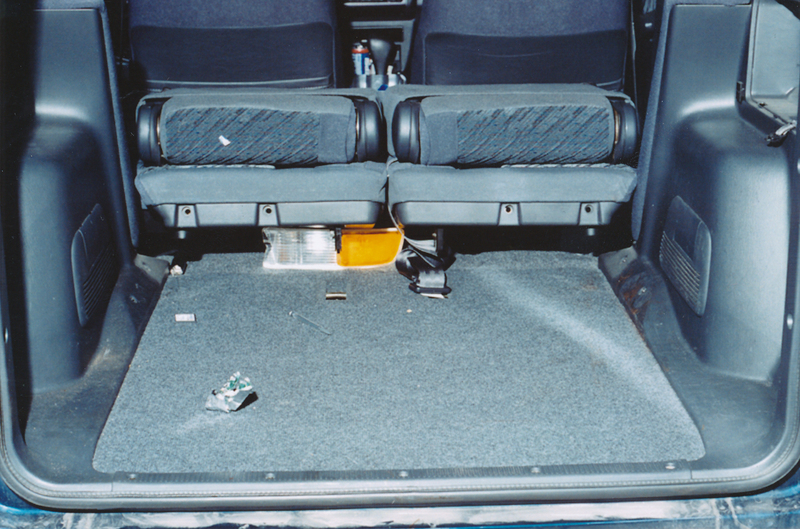 Some people are saying that the memory card could have remained in position because of the roughness of the carpet, the friction from the card and the investigators take extra precaution with the evidence (the last one is too far fetched – the investigators didn’t take any kind of precautions to safe guard a lot of the evidence – what makes you think they would treat the RAV4 any better? I’m extremely confident that Kathleen Zellner is going to get both Steven Avery and Brendan Dassey. We should start to see some more action in the courts in the coming weeks! Exciting! Remember, keep coming back to get updates on the appeals process! I will be updating regularly when the process gets going!